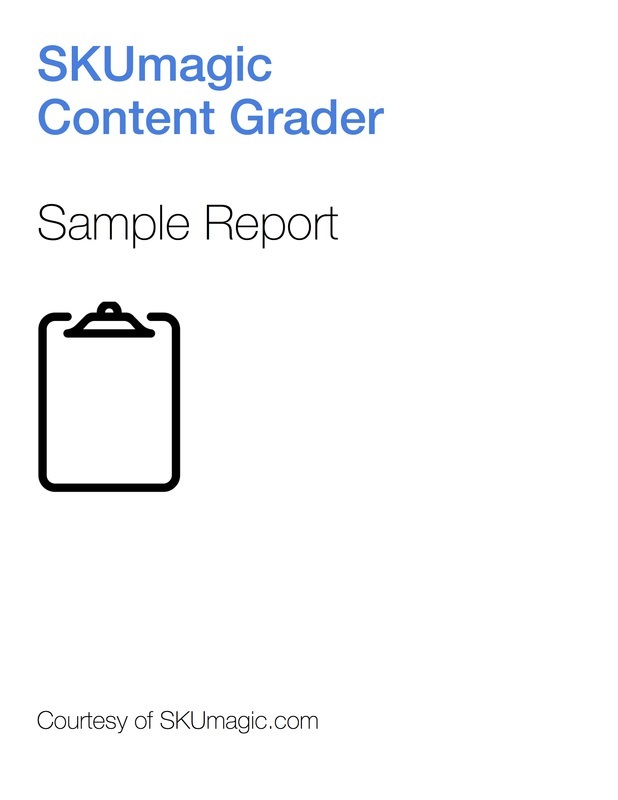 SKUmagic's Content Grader automatically profiles Product Catalogs against best practices. Results are shown as graphical dashboards, charts, and widgets revealing opportunities for improvement to increase eCommerce revenue. Plus, SKUmagic shows you exactly which products are affected with a single click. Get a copy of our Free Sample Report now.